We feature many useful, productive, prim and proper apps here at Redmond Pie, but sometimes one comes along which allows us to simply kick back and geek out a little. 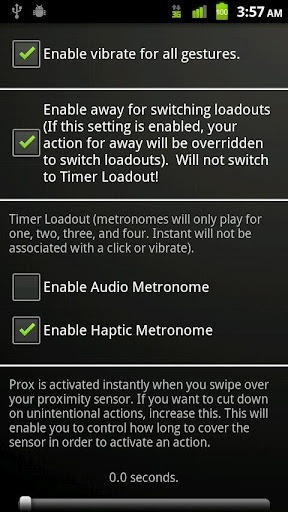 It’s on these occasions when we just like to tinker for the heck of it, and Prox Pro for Android proves that an app download doesn’t always have to be serious business. Once upon a time, a phone would boast polyphonic ringtones as a clincher, but in this digital age, we’ve proximity sensors preventing us from making that dreaded accidental call, typing an assortment of random numbers, or opening an app by mistake. Sure, you may on occasions find that the iPhone proclaims there’s "nothing to undo" when you take it out of your pocket, but despite the device’s seemingly guilt-ridden admission, the proximity sensor does – on the whole – improve the smartphone experience with aplomb. So, with the short sermon on how wonderfully useful they are out of the way, Android developer SemperGumbee has discovered other, rather more exciting vocations for the sensors. He’s the brains behind Prox, a gesture based service which allows you to control certain aspects of your phone without even touching it. 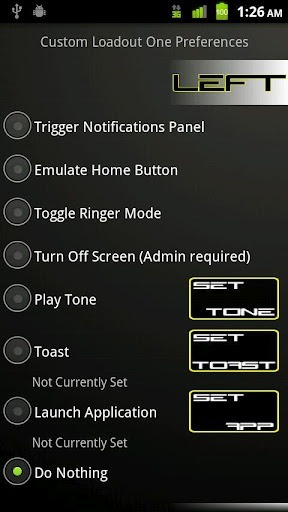 You can launch apps, evoke silent mode, and even expand and contract your status bar if your so wish; all by simply waving your hand close to the phone. The ability to turn your device’s screen off without touching it does have something of the James Bond about it, and it’s all made possible with Prox. Prox doesn’t mess with the sensors’ duties during calls, so you needn’t worry about your cheek accidentally tapping, toggling or gesturing if you are one of those rare individuals still using your smartphone to make phone calls. The app’s trump card – the turning off of the screen – requires administrative permission – which, granted, not everybody is one hundred percent comfortable with. Then again, users of apps like this would likely be those partial to a mod or tweak here and there – the type of people who regularly waive warnings in order to stretch software and hardware to the limits! It only costs a dollar from the Google Play Store, and if you like such geeky, interesting modifications, this could be right up your alley. If you want to try before you part with your hard-earned, then you can also try out the lite edition.